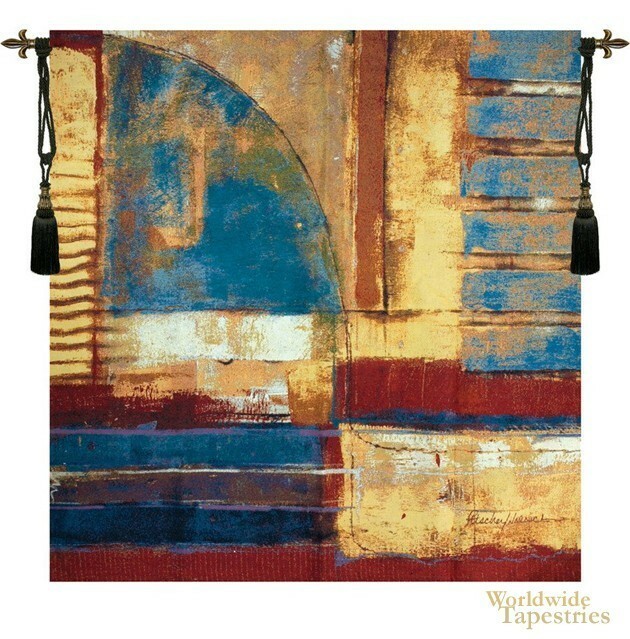 This modern art tapestry "Arena" is an abstract scene of colors and impressions of formations. The use of the mid blue contrasts beautifully with the golds and reds, and forms a work that is reminiscent of brush strokes and smudges of an oil painting on canvas. There is an industrial edge to this work that makes the work very modern. This modern art tapestry "Arena" is backed with a lining and has a tunnel for easy hanging. Note: tapestry rod and tassels, where pictured, are not included.